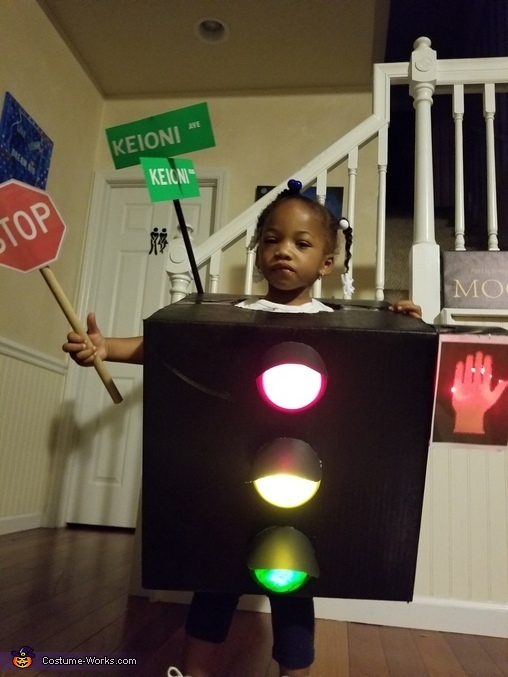 Created a traffic light with a box, 3 push lights, red, yellow, and green spray paint, poster paper for the street sign, a hand stop sign and a cross with caution recording. She was the cuttest little thing stopping traffic! !